Some posters make you pause mid-stride; others disappear into the background like so much white noise. 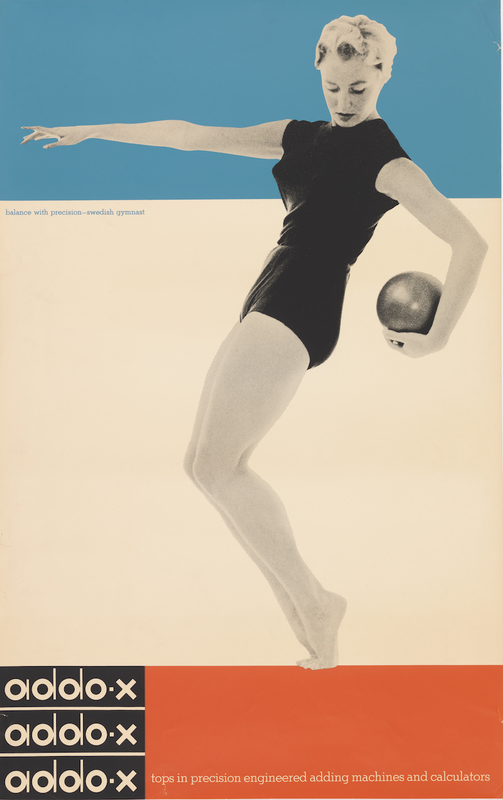 Cooper Hewitt, Smithsonian Design Museum in New York recently opened How Posters Work, with over 125 examples from their over 4,000-strong poster collection to analyze the design strategies that make that difference. These are all pretty broad ideas. 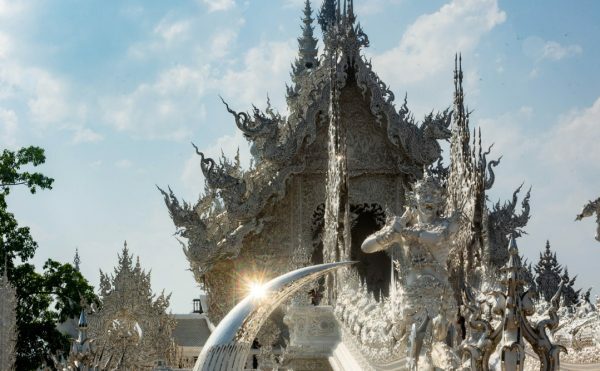 However, the exhibition, curated by Senior Curator of Contemporary Design Ellen Lupton, is meant to be an accessible exploration into design, much like the newly reopened Cooper Hewitt museum itself. The show also recognizes the juxtapositions at work, with an initial gallery contrasting both “focus the eye” and “overwhelm the eye.” Victor Moscoso, whose psychedelic 1960s poster work was recently explored at Andrew Edlin Gallery in Chelsea, is at one extreme with his 1966 Junior Wells concert poster that has waves of clashing blue, orange, and acid green radiating through the canvas, your eye not able to settle on any point. 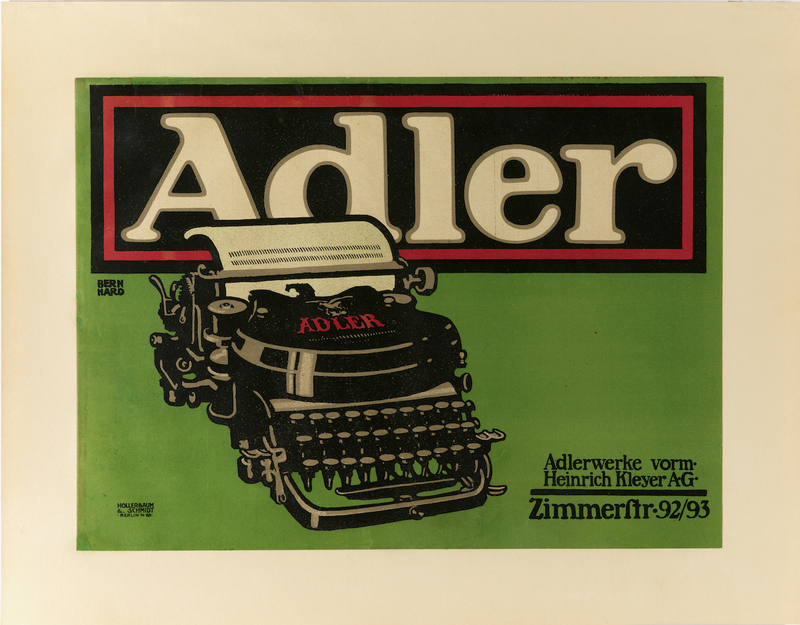 Lucian Bernhard’s 1909–10 poster for the Adler typewriter, on the other hand, draws your gaze right to the machine in the foreground with the company name neatly receded to the back. 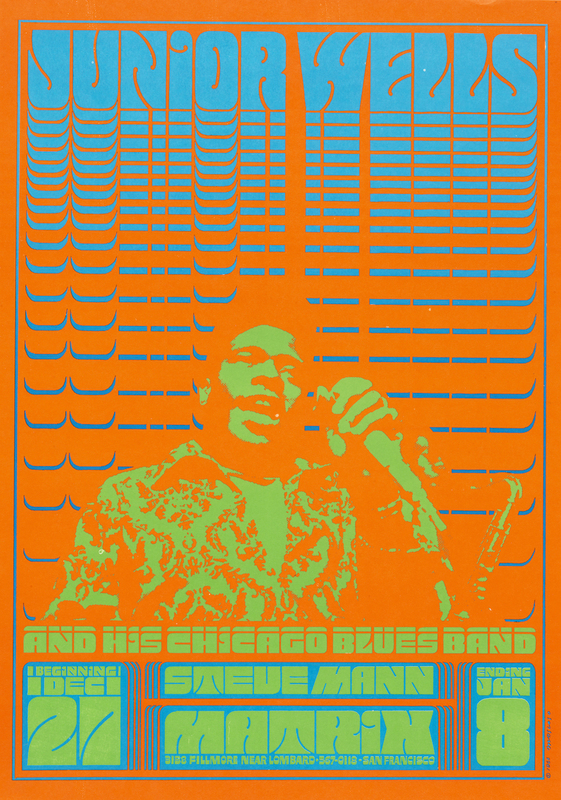 Victor Moscoso, “Junior Wells” (1966), offset lithograph, 19 13/16 x 14 3/16 in. Lucian Bernhard, for Adler, “Adler Typewriter” (1909–10), lithograph, 13 9/16 x 18 1/2 in. Much of the work comes from advertising, such as “tell a story” evoked by Andrzej Pagowski’s unsettling illustrated poster of a manicured hand grasping tiny clawed fingers for Roman Polanski’s 1968 film Rosemary’s Baby. 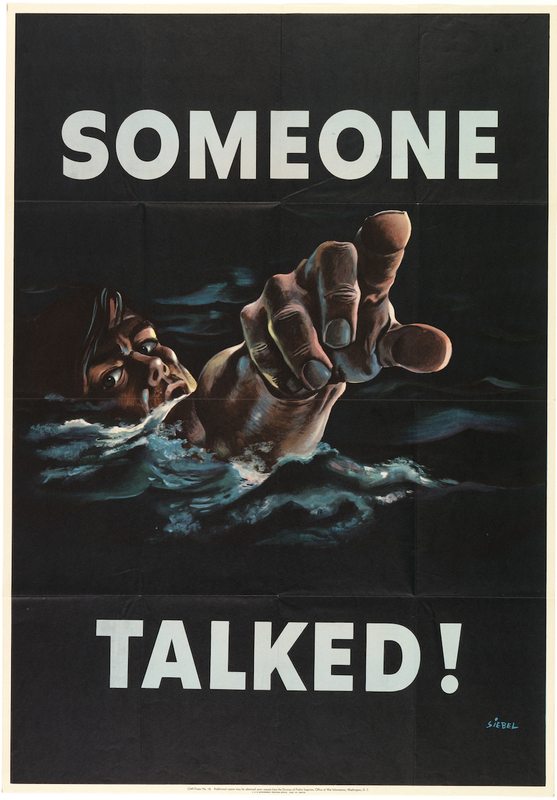 At the same time, posters like the equally startling WWII-era “Someone talked!” by Frederick Sibel tell their own call-to-action stories, with just those two words alongside a man pointing an accusatory hand from dark water — no “loose lips sink ships” subtitle needed. Whether activism or advertisement, posters are still a medium especially adaptable to a sense of urgency directed at the masses. 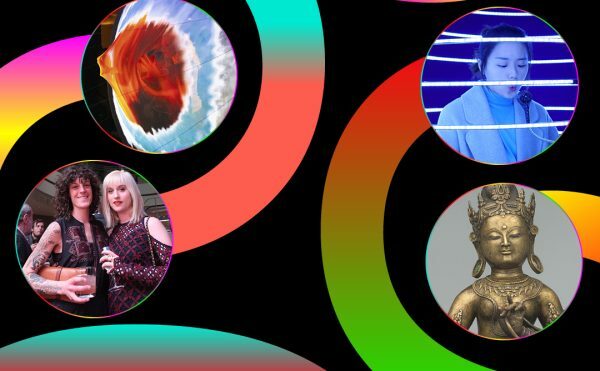 How Posters Work has its obvious value to students of the graphic arts, yet it’s also valuable in understanding how our brains work, and how design carefully targets our attention every day. Frederick Siebel, “Someone Talked” (1942), lithograph, 40 x 28 in. 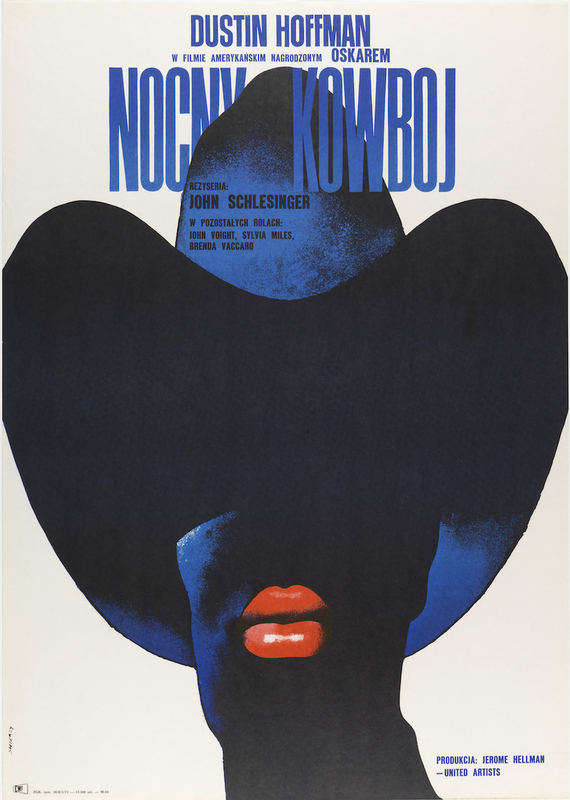 Waldemar Swierzy, “Nocny Kowboj (Midnight Cowboy)” (1973), offset lithograph, 32 3/8 x 23 1/16 in. 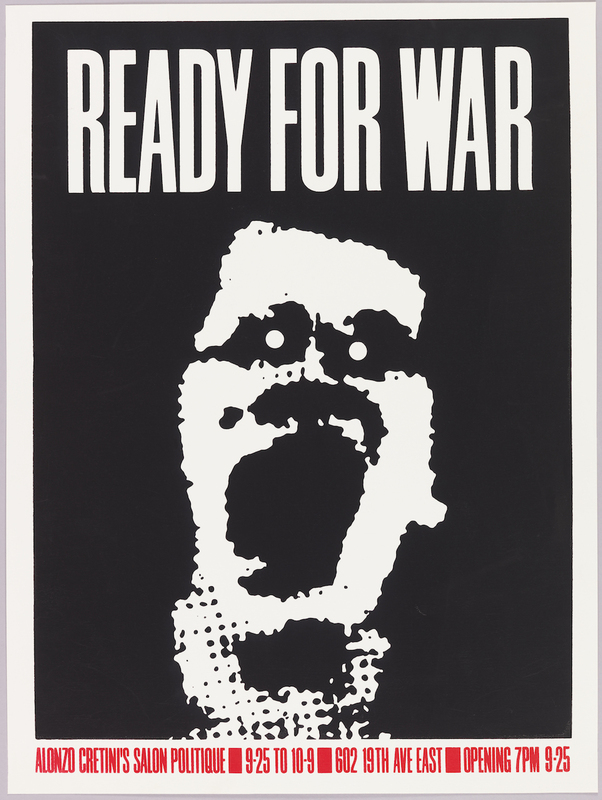 Art Chantry, “Ready for War” (1982), screenprint, 24 x 17 15/16 in. Ladislav Sutnar, for A. B. Addo, “Addo-x” (1958), offset lithograph, 38 1/8 x 24 1/8 in. 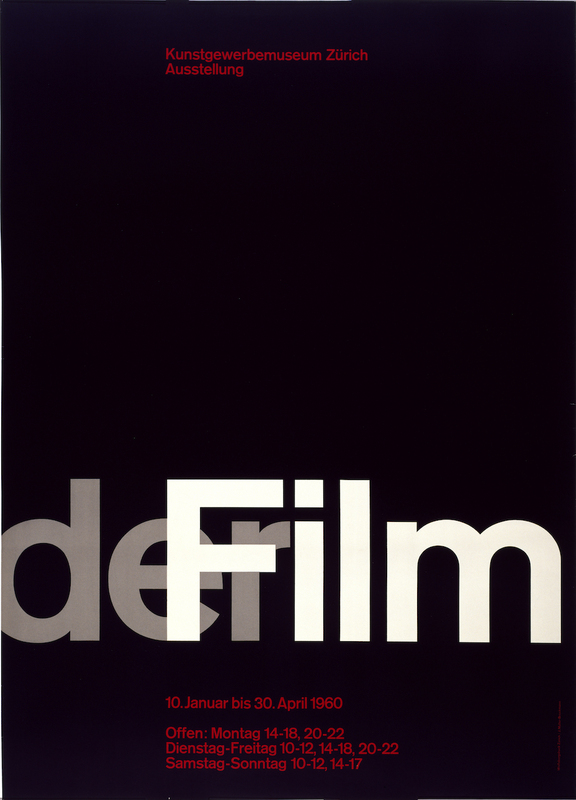 Josef Müller-Brockmann, for Museum für Gestaltung, Zürich, “Der Film” (1959–1960), offset lithograph, 50 3/8 ◊ 35 11/16 in. 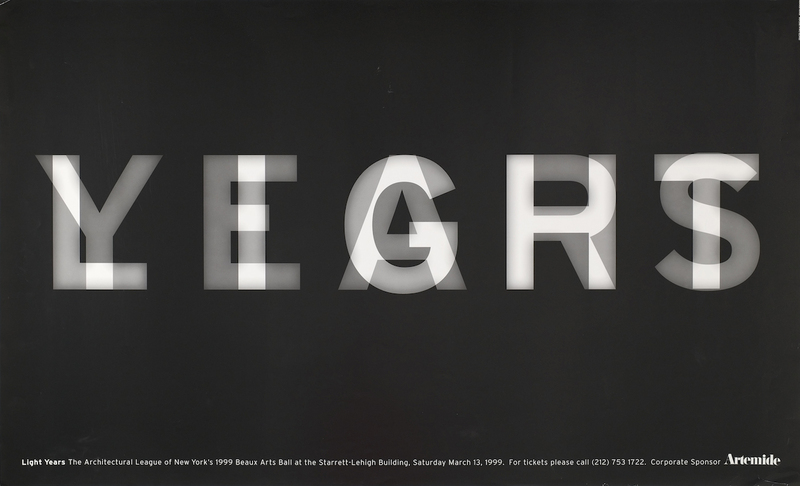 Michael Bierut, for Architectural League of New York, “LIGHT/YEARS” (1999), offset lithograph, 23 1/2 x 38 1/2 in. 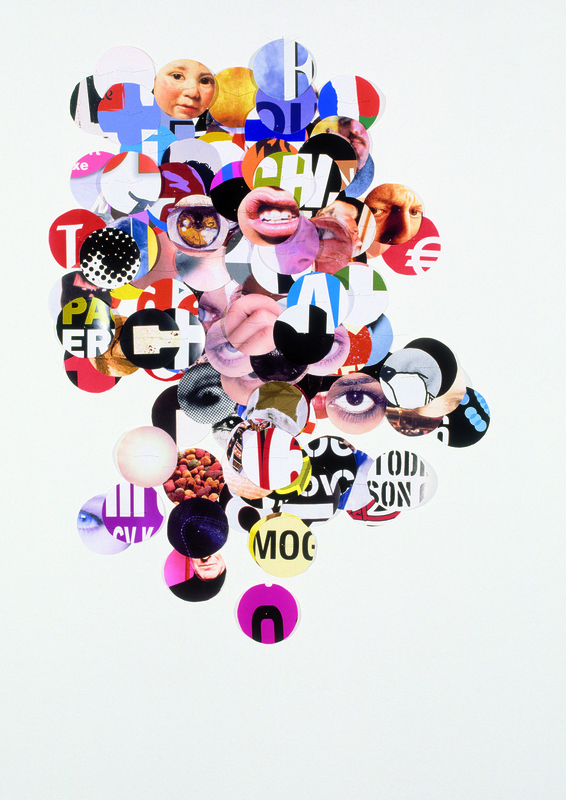 Ralph Schraivogel, “Design Centrum Ceské Republiky (Design Center Czech Republic)” (2002), screenprint, 33 5/16 ◊ 23 5/8 in. 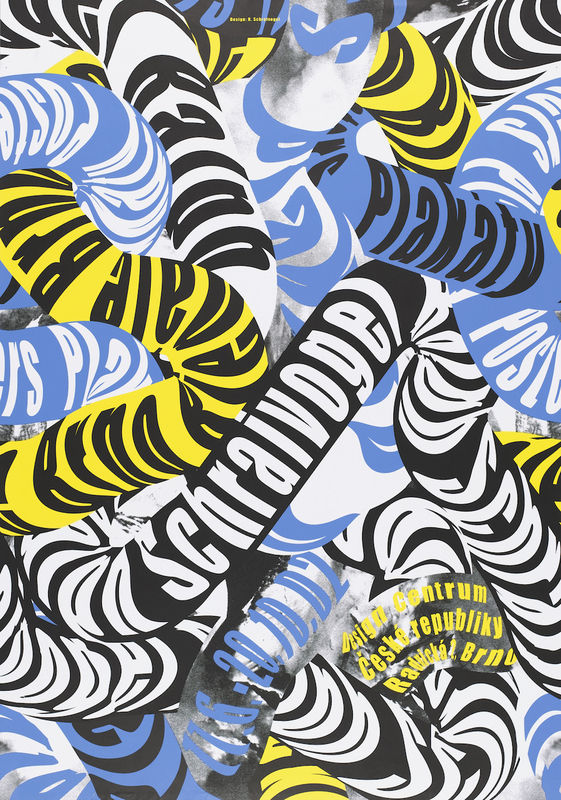 Michiel Schuurman, “HorseProjectSpace and Deveemvloer Present: Paraat 3” (2007), offset lithograph, 46 3/16 × 28 3/4 in. 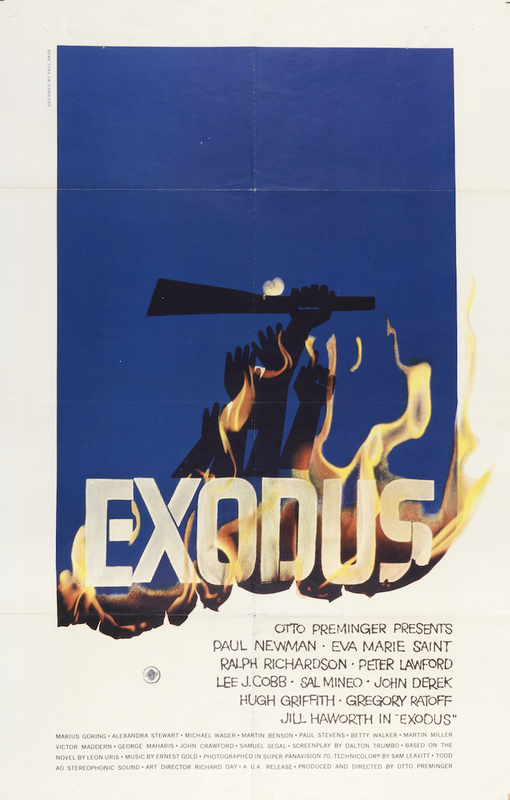 Saul Bass, “Exodus” (1961), offset lithograph, printed by National Screen Service Corporation, 40 15/16 x 26 15/16 in. Wiktor Górka, “Kabaret (Cabaret)” (1973), offset lithograph, 32 15/16 x 22 13/16 in. 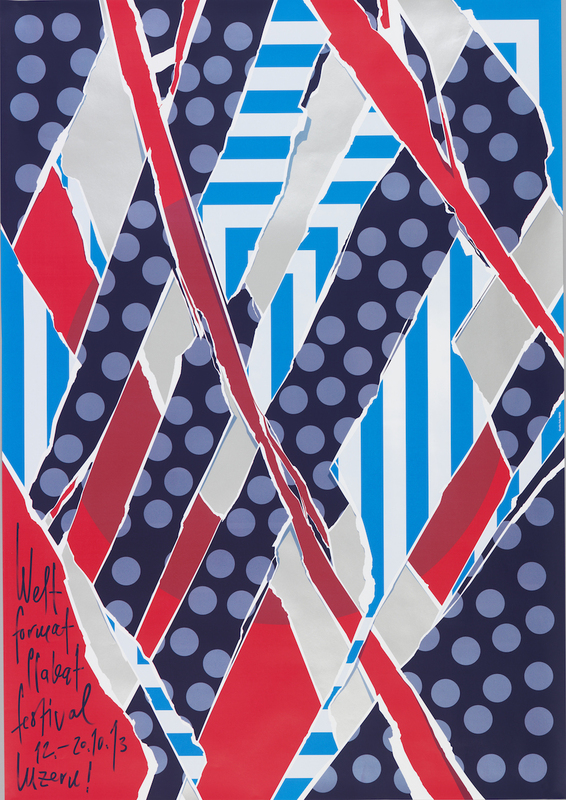 Felix Pfäffli, for Weltformat Poster Festival (Lucerne, Switzerland), Weltformat 13 (2013), lithograph. 50 3/8 x 35 1/4 in. How Posters Work continues at the Cooper Hewitt, Smithsonian Design Museum (2 East 91st Street, Upper East Side, Manhattan) through November 15. Curator Ellen Lupton is discussing the exhibition on June 18 at the 92nd Street Y (Lexington Avenue at 92nd Street, Manhattan).